This is my latest Marilyn Monroe water colour painting. Showing Marilyn wrapped with a hot pink and orange scarf. Water colour paints on Waterford water colour paper with gel pen highlights. 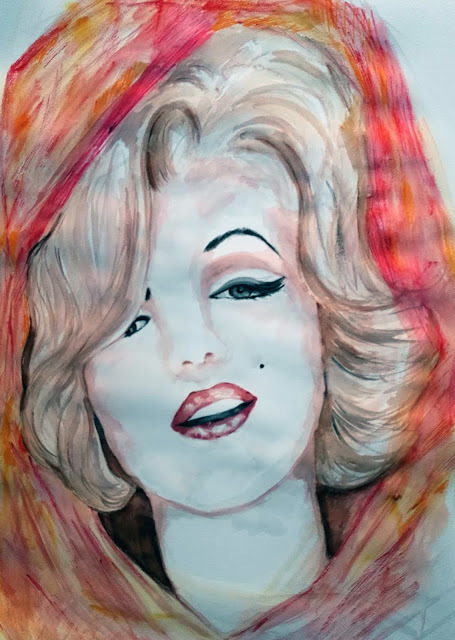 Part of my exhibition Essence of Marilyn.